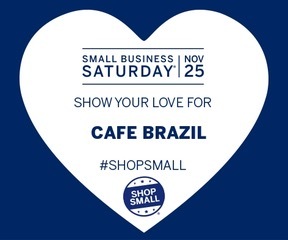 Thanksgiving Blessings from all of us at Cafe Brazil to you! Our University Park location will be OPEN …. business as usual ALL DAY and ALL NIGHT! All other locations will re-open for BLACK FRIDAY at 6:00am or at normal business hours.